Trudeau: "I have a hard time accepting that any leader might do the kind of damage to his own auto industry that would happen if he were to bring in such a tariff on Canadian auto manufacturers." OTTAWA — Prime Minister Justin Trudeau says he can't imagine President Donald Trump will make good on his threat to impose new tariffs on Canadian autos entering the United States because it would amount to a self-inflicted wound on the U.S. economy. 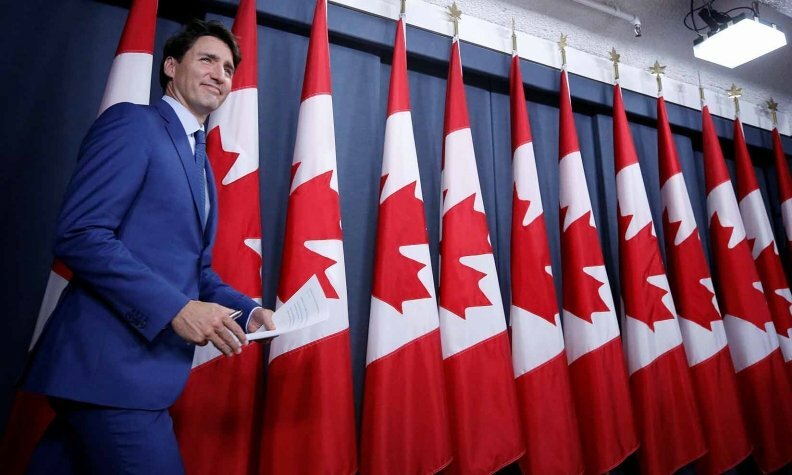 Trudeau was forced to confront that possibility at his end-of-session news conference Wednesday because the U.S. Department of Commerce is investigating whether to slap a 25-per-cent tariff on cars and light trucks entering the United States. Trump may pride himself on his unpredictability, Trudeau said, but that can't possibly include doing damage to American workers and its auto industry, which is so enmeshed with Canada's. "I have to continue to believe that leaders will function in the interests of their own country," Trudeau said. "I have a hard time accepting that any leader might do the kind of damage to his own auto industry that would happen if he were to bring in such a tariff on Canadian auto manufacturers, given the integration of the parts supply chains or the auto supply chains through the Canada-U.S. border." Earlier Wednesday, Foreign Affairs Minister Chrystia Freeland said she was heartened by the remarks of Trump's point person on tariffs. U.S. Commerce Secretary Wilbur Ross said he doesn't see Canadian steel as a national security threat to the U.S., and that a revitalized North American Free Trade Agreement could make his government's tariffs on steel and aluminum go away. Ross also acknowledged that the U.S. doesn't have a trade deficit on steel with Canada. In fact, he said it has a surplus with its northern neighbour in terms of dollar value. "The Canadian steel industry is not being accused of directly and individually being a security threat," Ross testified. "The national security implication is in the aggregate, all of the steel." One Republican lawmaker from Pennsylvania was critical of Lighthizer's insistence on inserting a five-year sunset clause into NAFTA, a position long decried as a non-starter for the Trudeau Liberals.